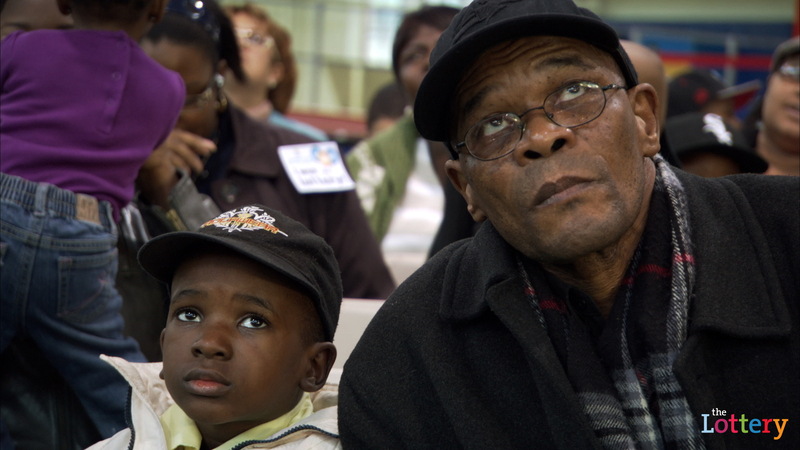 Christian and his Dad watch the video monitors to see if he has been chosen to attend Harlem Success Academy. Here comes another powerful education documentary, The Lottery. The film follows four families eagerly awaiting the annual lottery that determines which students will get a place at the Harlem Success Academy charter schools. Eva Moskowitz, who runs the charter school network, argues eloquently that children deserve access to a quality education now – regardless of where they live or what background they come from. (For coverage of the recent CSF event where Eva spoke, click here.) And watch for appearances by Newark Mayor Cory Booker, NYC Schools Chancellor Joel Klein, and Geoffrey Canada of the Harlem Children’s Zone, among others. But most touching are the interviews with the parents who are fighting desperately for their children to get a better education than they had themselves. This movie provides a rare glimpse into their daily routines and their hopes for their children. The Lottery will appear in select cities on Tuesday, June 8th. Please check here to find the cinema nearest you and visit The Lottery website for more information.